Canadian citizen Monika Schaefer has just been arrested and thrown into prison in Germany. She had committed no crime. Author Mike Walsh warns potential visitors to Germany to stay away from this dangerous police state. As Germany turns into a repressive violent state, travellers are on a ‘visit at your peril’ red alert. Entangled in electoral mayhem and threatened by refugee violence, the Merkel regime is said to be staring into the abyss. Normal life is fast disappearing. Also disappearing are many Germans now fleeing to Hungary. And Poles are returning to their homeland to escape rampant refugee violence gripping Germany’s once beautiful cities. Greece has suffered a calamitous 41 percent drop in tourism as a consequence of the invasion by non-European benefit bandits. German’s tourist sector is reeling from an even greater drop in visitor figures. Private properties in the hotel and leisure sector have been commandeered by the state to accommodate the new foreign invaders. In the latest bizarre twist, STASI-like German cops have arrested a visiting Canadian pensioner. The state-sponsored abduction occurred in front of an astonished courthouse. Canadian Monika Schaefer, whilst attending a Munich court hearing on January 3, was seized by three armed cops, handcuffed and taken to the cells. Attendees and observers seated in the court’s public galleries stared at each other in disbelief. The retired musician, a Canadian citizen of German ancestry who learned to play the violin at age 7 and is a skilled solo performer, is now in a High Security prison in Munich. DRAGGED OFF TO PRISON IN MERKEL’S MADHOUSE! Is the diminutive music tutor a deranged escapee with a long record of violence? No, she is a getting-on-in-years lady and happened to take an interest in the holocaust. Disturbed by what appeared to be exaggerated figures that relate to compensation pay-outs, Monika Schaefer discovered that the holocaust was being used as an international scam to extract money from the German State and to bolster sympathy for Israel. Despite overwhelming evidence of holocaust related fraud, which has been published in western media, Monika Schaefer’s arrest could result in a five-year prison term for carrying out investigations that actually supports many leading figures, including prominent Jews, who are also outraged at the extent of holocaust-related fraud. Observers say this is a deeply worrying trend and compare it to the notorious 17th Century witch hunts of Medieval Europe. The mainstream media is playing safe and publishing press releases issued only by Jewish pressure groups. This strategy gives readers and viewers a skewered account of the bizarre abduction. for asking awkward questions about the Holocaust! FOR THE CRIME OF DEFENDING THEIR CLIENTS! In a briefing to the Arizona Senate in 2016, experts reported that the U.S. is suffering near “pandemic medical issues” due to the continuous influx of illegal aliens and refugees from countries where infectious diseases are widespread. As of 2016, two states were in the Catastrophic Phase and another 13 were in the Critical Phase of public health impact from these infectious diseases. Arizona was No. 9 of 13 states in the Critical Phase but was expected to move into the Catastrophic Phase by fall of 2016 as a result of people who are latent carriers of disease or who entered the country during the incubation period for a disease. We were unable to learn the current status from personal calls to Arizona county and state officials. Liberal and progressive politicians like to say, “America is the land of immigrants.” In the past, this meant legal immigrants who follow our screening procedures for illness and other laws and who are coming to America to be part of our culture. Breaking Europe: Merkel & Her Migrants — What Comes Next? BREAKING EUROPE Merkel and her Migrants. What comes Next? ONE OF THE BEST VIDEOS EXPLAINING THE SO CALLED IMMIGRANT CRISIS AND THE ESTABLISHMENT-ENGINEERED INVASION OF EUROPE. Two-thirds of Germans want their government to end open borders and almost half insist their country cannot take any more ‘refugees’. Across most major European Union (EU) nations people are quickly losing faith in open borders, the survey by French pollsters Ifop found. More than 60 per cent of Italians are against free movement, and 72 per cent of French people wanted some borders to be closed. Rising sharply from just one-third in September 2015, now nearly half of people in Germany — 47 per cent — also insisted that it would not be possible to absorb any more ‘refugees’ given the million plus who walked into the country last year. The number was even higher elsewhere. More than 60 per cent of both Italians and French people contacted by the pollsters said there was no possibility of taking in more migrants. According to Ifop opinion research director Jérôme Fourquet, the results show the terror attacks in Brussels and Paris, “stoked the feeling that things have escalated out of control”,Süddeutsche Zeitung reports. “Before, people always said that an end to Schengen would mean the beginning of the end of the whole EU,” Mr. Fourquet continued. However, despite the sporadic controls that have already appeared on many European borders since the migrant crisis began, “Europe isn’t falling apart,” he claimed. Terrorism and radical Islam certainly appear to be a large factor in changing attitudes across Europe: 79 per cent of Germans, 80 per cent of the French, and a whopping 84 per cent of Italians are now convinced some migrants are potential terrorists. Germans, meanwhile, were understandably the most self-confident about their economy’s ability to pay for the large number of new dependents. 61 per cent of Germans said that their country was financially strong enough to cope with the crisis, but just 28 per cent of the French and 24 per cent of Italians were so confident. 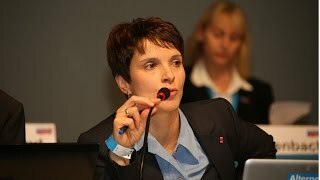 Preview YouTube video Big gains for Germany’s anti-immigration party: Are they really ‘right wing’? 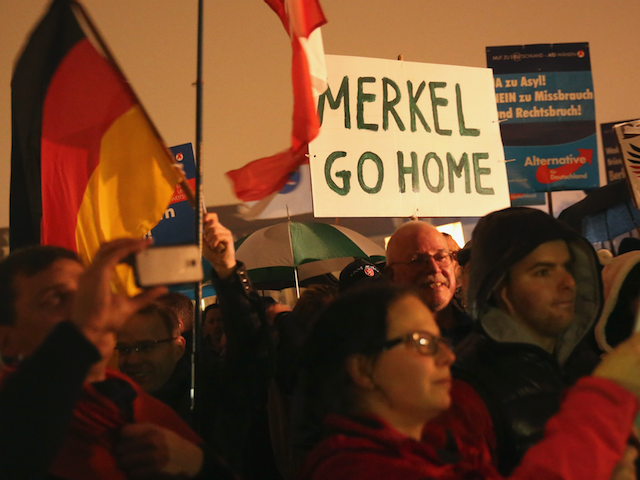 Big gains for Germany’s anti-immigration party: Are they really ‘right wing’?